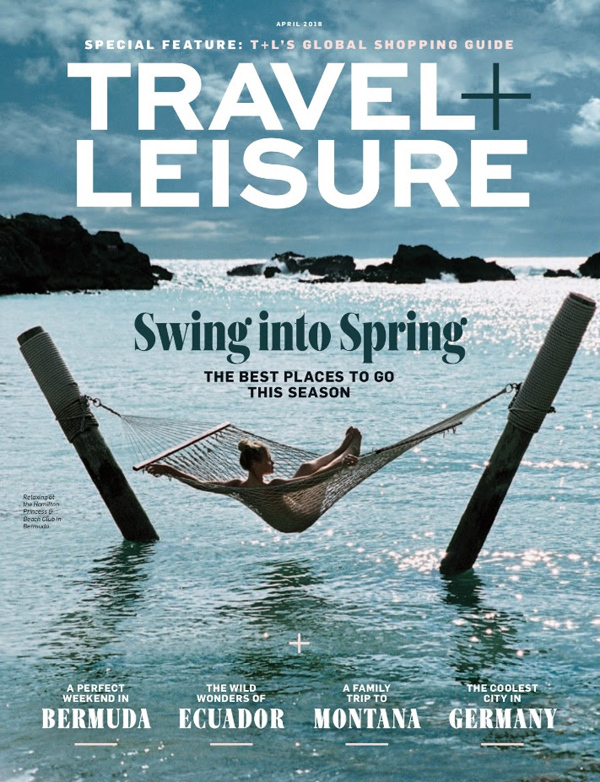 Bermuda is featured on the cover of this month’s edition of Travel + Leisure, with a photo taken at the Hamilton Princess Beach Club gracing the front of the magazine, which also includes a 4-page story on Bermuda. “The magazine’s circulation of about 1 million is geared specifically to readers who are well-traveled. A picture taken at the Hamilton Princess Beach Club graces the cover,” the BTA said. “The four-page story inside delves into the island-wide Bermuda experience, particularly how a Bermuda vacation can appeal to couples with young children [known as the active family target audience]. Bermuda Tourism Authority CEO Kevin Dallas said: “The Travel + Leisure cover story is an excellent example of how our public relations team works tirelessly – almost invisibly – to keep Bermuda top of mind for travel writers. According to the BTA, local businesses and areas mentioned in the article include Wahoo’s Bistro & Patio, Hamilton Princess, St. George UNESCO World Heritage Site, Tobacco Bay, The Loren at Pink Beach, Rosewood Bermuda, Marcus’, Haunted History Bermuda, Long Story Short, Tucker House Museum, Bridge House, Shelly Bay, Art Mel’s, Woody’s, Village Pantry, Ruby Murry’s, Huckleberry, Elbow Beach Resort, Bermuda Bookstore, Masterworks, Botanical Gardens, Current Vehicles, Winnow and more. Wow, how exciting! Well done to everyone working so hard in Bermuda’s tourism industry to make us worthy of a magazine cover! We obviously bent over backwards while the person was here in Bermuda to help influence this. It cost us money for that and to advertise so no real congratulations are in order here. They keep pushing America’s Cup out there like this cost us nothing. Can we get the total cost of the marketing campaign around this? Um… ‘Dumb’ There is no such thing as a ‘Free’ lunch. However, If you are hungry you should eat and be thankful. Would you prefer complete omission and the usual excuses and pointless expressions of regret..? Tsk!